Windproof and waterrepellent soft shell jacket with reinforcements on shoulders and sleeve ends. Material: 95% polyester, 5% elastane. Reinforcement 100% polyester. 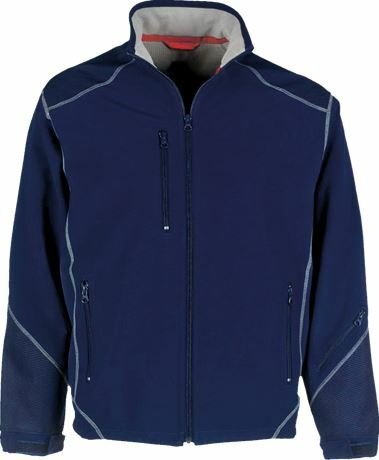 Windproof / Water-repellent / Breathable / Extended back / 2 front pockets / 2 inside pockets / Sleeve pocket / Chest pocket with zip and earpiece slot / Reinforcement on shoulders and sleeve ends.